There are so few times when an ad in a newspaper jumps out as if it was there for you and you alone. That’s how it was when I opened The Globe and Mail one spring afternoon in 1974 and saw an ad by the University of Toronto. It said if you had not completed high school you could, for $75, take a pre-university course. If you attained a mark of 75 percent or more the university would admit you as a full-time student. It was an offer I couldn’t resist. I’d quit high school in 1970. I’d failed grade 12 and went back to give it another try but gave up and quit. I moved to Toronto and found work. There were always jobs then. If you wanted to work you had a job. I was a candy girl at the Uptown Theatre, chambermaid at the Hyatt Regency, fact checker for credit applications at Eaton’s Queen Street store, mail sorter, postal carrier and canvas designer for a needlepoint shop. I sold jeans, cut Christmas trees, found and sold vintage clothing and accessories, did phone sales for The Globe and Mail, was a hostess at the Royal Ontario Museum for an exhibit on the Archaeological Finds of the People’s Republic of China and worked at a drop in centre for what were then called skid row men. But it wasn’t enough. I was tired of being a high school drop-out. I wanted to succeed. So I applied to the university, took a course in Literature, did well and was accepted as a full-time student. There was little money so I rarely took the streetcar. It was no hardship. I liked being active and would make a game of walking as fast as I could to beat the streetcar on College Street as it headed west toward the university. After the class I’d walk home thinking about the books we were reading and the discussions. And I had my bike, a gift from a friend. It was an old standard with a scratched frame, cracked leather seat, rims painted pink, foot rests made from blocks of wood, a carrier and an old bell on the handlebar. I loved that bike. It felt like an extension of me. There were lots of bikes on campus but none, I thought, as neat as mine. I’d ride as fast as I could hoping for green lights. Sometimes I’d go for a long ride and when I did I’d have that light, giddy feeling I had when tearing about on my bike as a kid. Pushing myself physically was a good fit with pushing myself at school. The two seemed in balance, each drawing on energy and each giving energy. All that was a long time ago. Yet I feel I could reach out and touch those times. Were I to have a bike now I have no doubt that riding that bike would tap other memories, of other people, of other places – memories that are there drifting ready to be called on. Christine Dirks is a writer and editor in London ON. Early in her career she worked in the Toronto book publishing industry where she specialized in international marketing. Later she wrote two weekly columns and features for The London Free Press. Her work has appeared in The Globe and Mail, Canadian House & Home, Canadian Gardening, Azure and other publications. Christine currently provides research, writing and editing services for individuals and organizations. Loved your memories and return to school combined with fitness. I loved this! 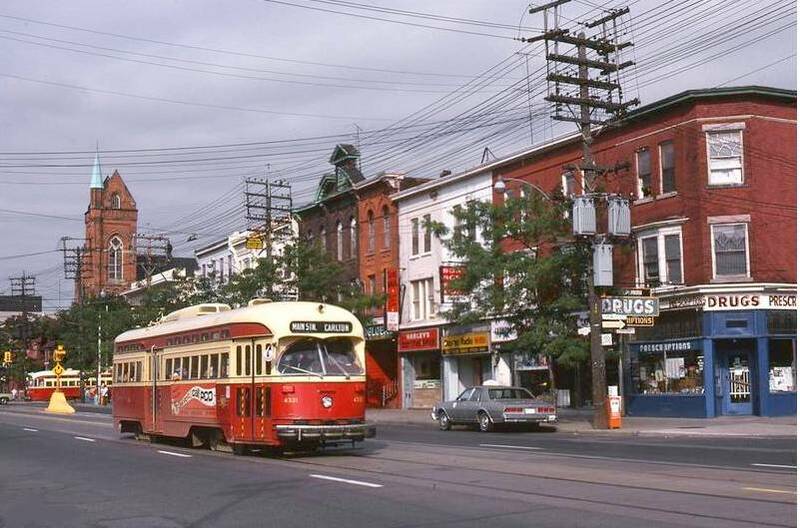 I went to grad school at the U of T and I used to make a game of beating the streetcar on my bike (the college streetcar- I lived on or near its route for a couple of years) or using my bike to get somewhere faster than the TTC. More guest columns from Christine, please!